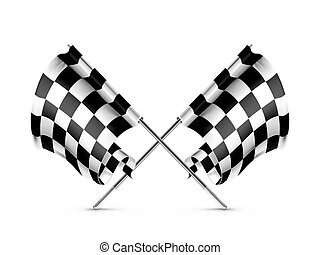 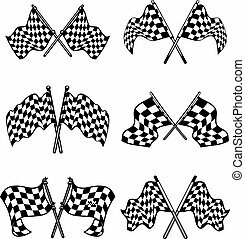 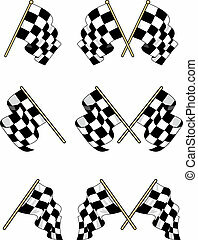 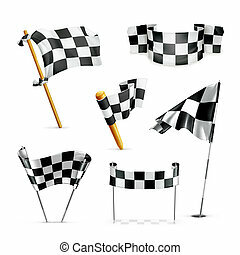 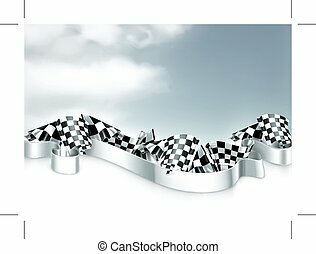 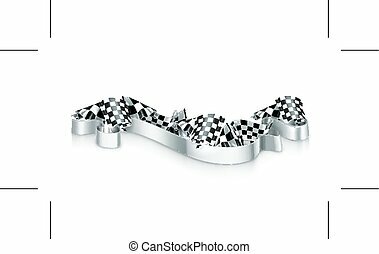 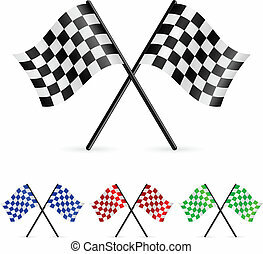 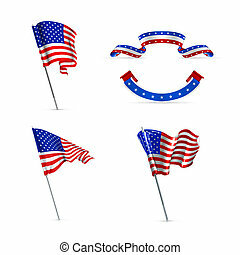 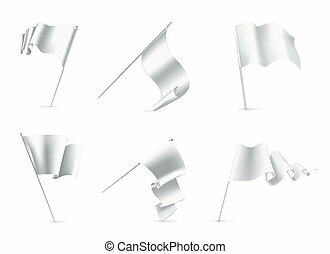 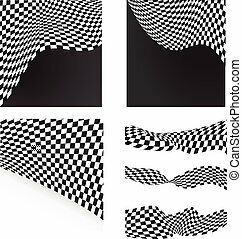 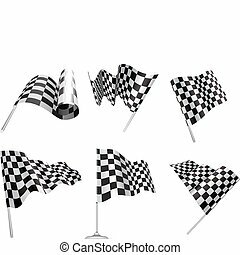 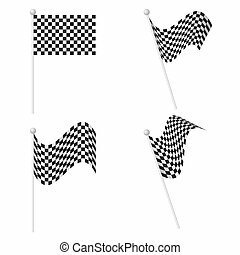 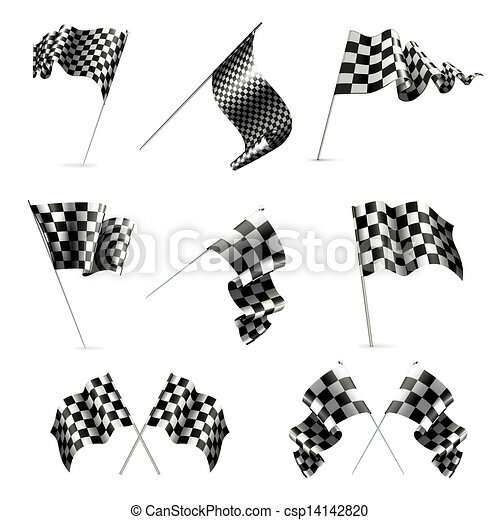 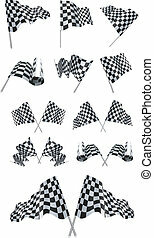 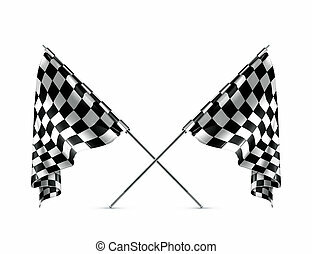 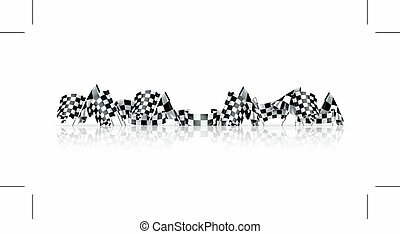 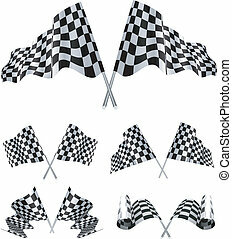 Checkered Flags set illustration on white background. 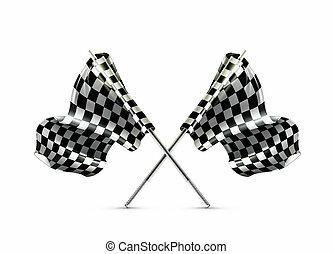 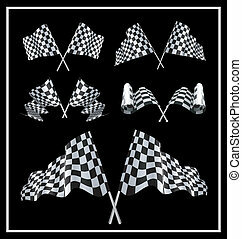 Checkered Flags set illustration on black background. 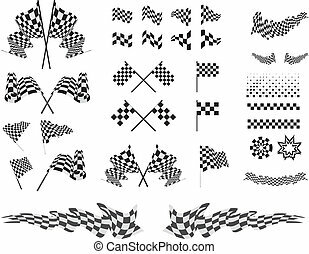 Checkered Flags set vector illustration on white background. 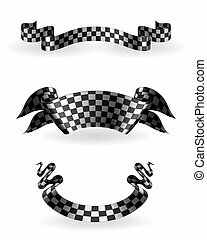 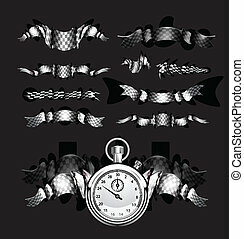 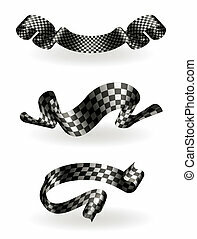 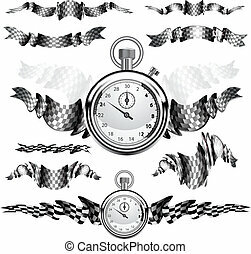 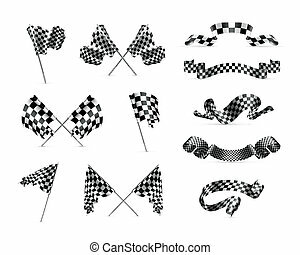 Checkered Flags and ribbons set vector illustration on white background.